Make way for the quintessential luxury automobile. 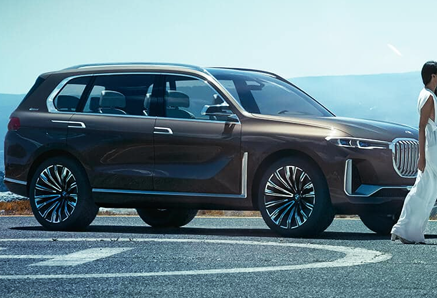 The BMW Concept X7 iPerformance is an extraordinarily innovative vehicle, crafted with an eye for ground-breaking design and inspiring presence. Equipped with an unbelievable amount of space and comfort, it’s prepared for a smooth yet powerful debut. 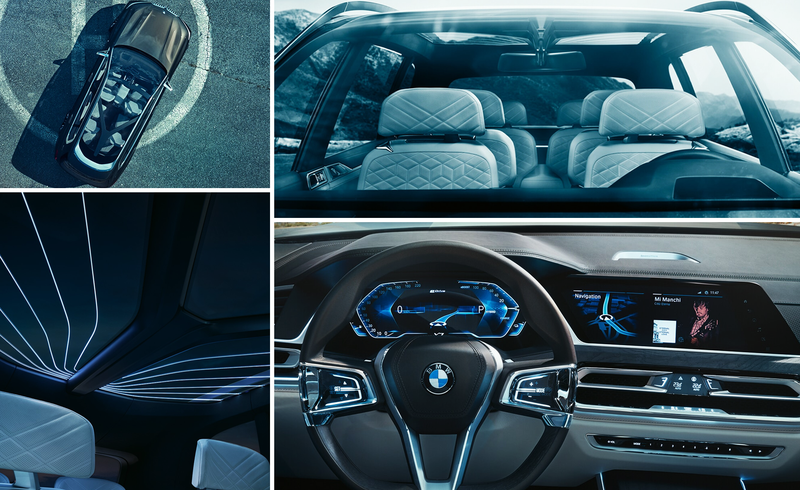 Merely opening the doors makes it apparent—BMW Concept X7 iPerformance embraces spatial luxury. Generously dimensioned windows, combined with the panoramic glass roof extending from the windshield to the rear, generate an incomparable sense of airiness that brings new meaning to the phrase “out on the road.” The seats themselves, a mix of dark olive-bronze and Smoke White leather, serve as a nod to exclusivity, down to the finest details. Pile in Without Piling On. Comfort and roominess never take a backseat in BMW’s largest SAV. On one hand, the X7 Concept iPerformance was built with the driver in mind. The raised seating of the driver’s cabin provides unbeatable visibility, and the 12.3-inch instrument cluster puts control at the driver’s fingertips while keeping a “reduced to essentials” aesthetic. For the passengers, the adjustable second row allows for easy access to the 3rd row, so even when this 6-seater with Captain’s Chairs is filled, it doesn’t feel too full. More Than Just A Conversation Starter. This is a new form of car talk. 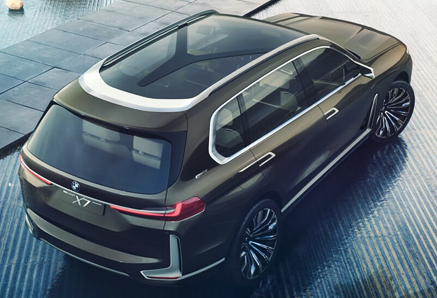 The BMW Concept X7 iPerformance takes an unprecedented leap forward in the realm of playful and functional interaction. Second row passengers can access a plethora of infotainment courtesy of the rear-seat touchscreens. From there, the versatile, state-of-the-art interface allows passengers in the first and second rows to share content with each other—and the world at large.